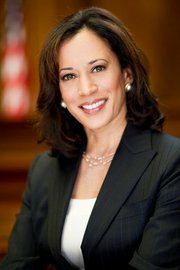 [AG Kamala Harris] – Attorney General Kamala D. Harris announced Wednesday that the number of reported hate crimes in California decreased 4 percent in 2011. There were 1,060 hate crime events reported statewide in 2011, a decrease from the 1,107 hate crime events reported in 2010. Hate crimes with race/ethnicity/national origin account for the most common type of hate crime in the last 10 years and represented 57.5 percent of all hate crime events in 2011. Anti-Black hate crimes account for 29.5 percent of all hate crimes. Since 2002, anti-Hispanic hate crimes have decreased by 43.6 percent. Hate crimes events involving a religious bias have increased slightly, from 198 in 2010 to 201 in 2011. Anti-Jewish hate crimes continue to be most common, accounting for 8 percent of all hate crimes reported since 2002. Of the 201 hate crimes involving a religious bias in 2011, 132 were anti-Jewish. All police agencies and district attorney’s offices in California, in cooperation with the Department of Justice, have developed local data collection programs and submitted hate crime statistics for this report. Categories are established by the Federal Bureau of Investigation. A total of 313 hate crime cases were referred to prosecutors in 2011, and 253 cases were filed for prosecution. Of the 253 filed, 204 were filed as hate crimes. Of the 161 cases with a disposition available for this report, 46 percent (74) were hate crime convictions, 50 percent (80) were other convictions and 4 percent (7) were not convicted.